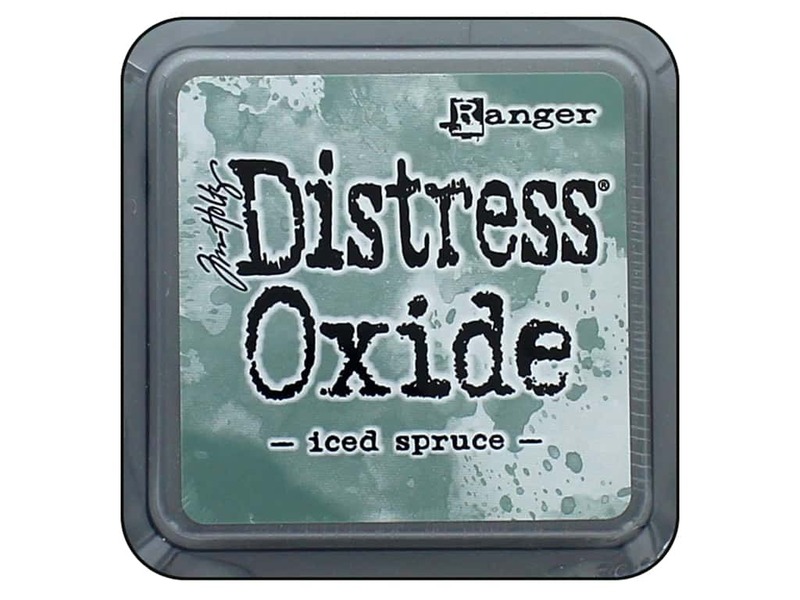 Description: Ranger Tim Holtz Distress Oxide Ink Pads are raised ink pads with water-reactive dye and pigment fusion ink. Creates an oxidized effect when sprayed with water. Use with stamps, stencils and direct to surface. Blend with ink blending tools or foam. Acid free, non-toxic, fade resistant. Ink pad measures 3 x 3 inch.Iced Spruce.